Seen a better price on a competitors website? We'll endeavour to beat any like-for-like price. 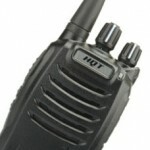 The TH-2800 redefines entry-level licensed two-way radio with great quality, loud clear audio a..